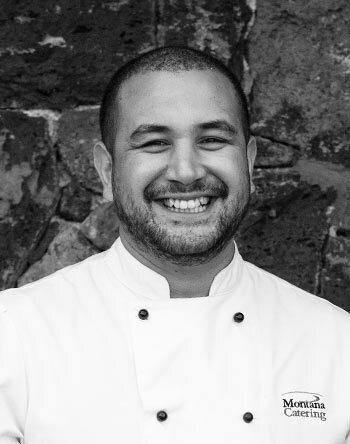 Carlos oversees our kitchen staff across three Auckland based kitchens. With 26 years’ experience, he worked with General Manager Troy Reid in London in 1996 and has since owned his own restaurant; Bowman’s and worked at Cin Cin for seven years. With Montana Food and Events, Carlos is now engaged in menu design and has a particular focus on plated dinners. Sean has been with Montana Food and Events for two years as a Senior Sous Chef. He runs the OGGB Kitchen at the University of Auckland premises which does all of our high end dinners. Before joining our team, Sean had just returned from three years in Melbourne and Holland working for very busy high end restaurants. Sean has been cooking for 13 years and has worked at Bowmans, Killer Prawn and Ironic to name a few.